Personal Trainer St Paul | JT's Fitness - Better Body. Better Life. Get in shape with personal trainer JT. See true results by training with a former NFL Player. Full attention. No one else in the gym – just you and the trainer! By the session. No contracts or membership required. It’s never too late to get in shape! “I have been working out with JT for 6 years. He pushes me hard and keeps me in shape for all the sports I want to keep playing. I am turning 60 soon and feel GREAT! JT has been helping people stay fit, get stronger and recover faster for three decades. 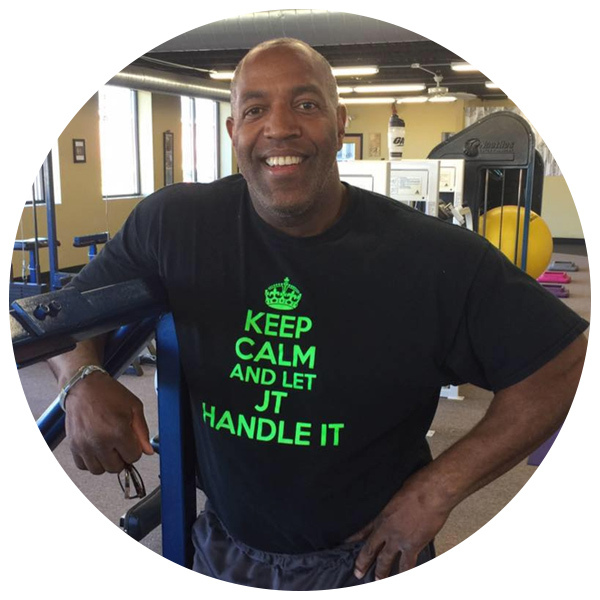 Previously head of Fitness Express of the Twin Cities for more than 21 years, he opened his new workout studio in 2012. Jim is the fitness expert — he has been a professional football player (with the Houston Oilers), a professional wrestler and an accomplished body builder. At Utah State University, where he majored in sales and marketing, JT was a 1st Team All-American football player. Don’t wait to get in shape.